Efe Paul Azino is one of the outstanding spoken words poets making a name for himself in Nigeria. His debut publication, “For Broken Men Who Cross Often” a book that comes with a CD of his recorded poems, is garnering rave reviews. 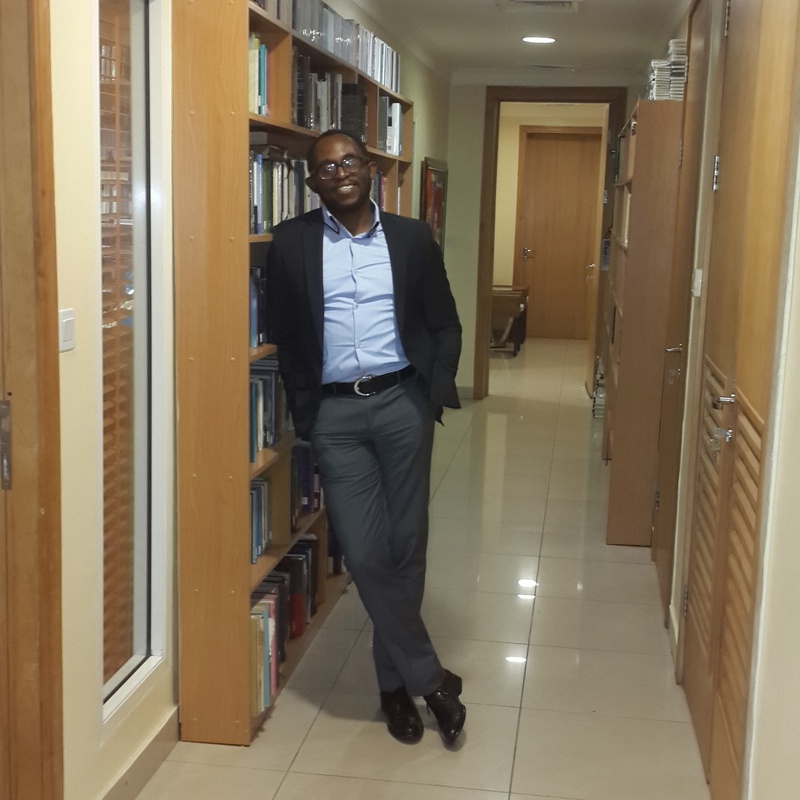 He is also the director of the Lagos International Poetry Festival. In this interview Efe talks about, the poetry festival, the future of spoken word in relation to written poetry and what poetry means to him. Enjoy! Your first poetry collection, For Broken Men Who Cross Often, is coming some 15 years after you set out as a performance poet. Why did it take this long for you to bring out a collection? I think it was primarily an issue of timing between having a ready manuscript and a publisher willing to take the risk. I had been writing actively for about 17 years. But few presses were publishing poetry and I wasn’t going to self-publish. Besides, I had my sights, in Nigeria, on two publishing outfits and I was willing to wait until the elements aligned. I was also pretty much preoccupied with the stage at the time so that kept any publishing anxieties I had at bay for a while. One of the foremost performance poets in the country Sage Hasson has said that he doesn’t believe poetry was meant to be written down. To what extent do you agree or differ from this view, especially seeing that you have just published a collection? There was poetry pre-literacy. Before Guttenberg there were griots, bards and troubadours. The Iliad and The Odyssey came to us, originally, in oral form as did The Canterbury Tales. The oral tradition predates the literary. But these are just mediums. Each with its own convention. None superior to the other. Essentially, poetry is not defined by its medium. Both traditions have given us great works of beauty, truth and rigour. Our dance is to the song, not to the vehicle that brings it to us. Publishers across the world are reluctant to take on poetry, forcing poets to self-publish their works, yet Farafina, through its Kamsi imprint, decided to take on your collection. Can you tell us what led to this deal? How did it come about? I have had a relationship with Kachifo since about 2010 and we have had on and off discussions about producing an audio compilation of my works since there weren’t publishing poetry at the time but were tinkering with the idea of audio books. We resumed discussions again in 2013 and I sent in a query letter. I guess there was a stronger business case for it this time. Spoken Word Poetry was gaining mainstream appeal and I had built a fan base over the years so there was a ready market as it were. We could marry both traditions. Do what Homer couldn’t do. Have the poems speak aurally and in text. A year later, we reached an agreement, signed a contract and here we are. Time will tell how sensible a risk it was to take on the part of Kachifo, but if the early signs are anything to go by, I’ll wager that it was a good one. One interesting thing about this collection is the mix of strident social criticisms, such as in “Justice Has Been Kidnapped” and the immigrant experience like “Yesterday We Ran”. What informed the choices of the themes that went into this collection? I have built an oeuvre of protest poems over the last decade, or more, because it was the only way I felt I could respond to the persistent social injustice and structural dislocations perpetuated by Nigeria’s broken democracy. There’s a certain level of socio-political engagement I consider necessary under such circumstances, one that does not preclude artistic rigor or sacrifice the beauty of form and content that poetry demands, one that sometimes spills out from the page and stage to the streets. But if For Broken Men Who Cross Often has any overarching theme, it is liminality, particularly the exploration of the liminal space between dreams and their actualization. Often poetry is personal and relative to the experience of the poet. How much of yourself did you invest in this collection? TS Eliot considered the best poetry to be impersonal and that the poet’s responsibility was to find the exact words for thoughts and feelings, put the reader or listener in touch with it, and disappear from the picture, personal feelings, biography and all. I agree. Somewhat. But there is a sense in which fixing precise words to ambiguous moods requires you to be in touch with your feelings, to mine the personal, trusting it converges, universally, with the human experience. So yes, there is a lot of the personal in the book and there are one or two poems, like Dream Country, that give up their biographical slant. Most performance poets would have been ok releasing just CDs of their spoken word. Why was it important for you to have a book to go along with it? I have always wanted a hybrid output that marries both the oral and literary traditions. Not all spoken word poems need to pass the test of the page. A good poem is not defined by how well it sits on paper. That said, I think it’s important to master both mediums, to understand their conventions. Getting the poems across to people in the medium most convenient for them was important to me. So there’s a book for those who would rather read poetry and a CD for those who prefer to listen. Indeed. So why do you think spoken word is all the rave now? Do you see foresee spoken word dominating poetry in the traditional sense that we know it, especially as poetry collections are mostly read by poets, whereas spoken word appeals to even non poets. Is spoken word a threat to traditional forms of poetry? I think both forms will always exist side by side. But poetry is reaching a larger audience through spoken word and this, most likely, will continue. There will be more audio CDs, accompanied with videos, coming out. But books will endure. Their numbers may dwindle but there will always be those who access poetry via the page and its attending conventions. Will this affect the quality of poetry in the long term? Yes and no. There will be a lot more dross. But every generation will throw up its Homers, its Seamus Heaneys, its J.P Clarks, Its Okot p’Biteks, its Warsan Shires. Both traditions will endure. But spoken word poetry will expand the audience for the art form more than the page. In your poem “This is Not a Political Poem” the poet offers to lead the people to march against the corrupt government. Do you subscribe to the view that writers should be the vanguard in the fight for social justice? Writers are citizens too. If they feel so aggrieved then by all means, yes. Fight! Most writers have a heightened sense of justice, of fidelity to truth and equity. This finds expression on the page. But there are urgent moments that require a certain kind of strategic engagement with the forces of oppression and repression. I feel a sense of responsibility to engage politically. But this is personal. If writers, as citizens, on an individual level, feel a compulsion to engage, great. But you won’t find me judging passivity. You are the director of the Lagos Poetry Festival. Can you tell us why it became important to organize this festival? Myself and the poet Titilope Sonuga had just concluded teaching a workshop for a Dutch based organization called Waza Africa and somehow veered off into a discussion about the growing army of young people engaging with poetry and the attending dearth of quality, a common complaint. So my plan, initially, was to do something about it, to run a three day workshop, throw in about two panel discussions and round off with an evening of performances. But I started to feel like I was cradling the head of an idea, one I wasn’t going to find satisfaction pursuing until I embraced its full form – a festival, something on an international scale. This was a thought I had flirted with in 2013 but balked at. This time I decided to go for it. What we set out to do was to create an annual point of convergence, in Lagos, for poets and artists from across Nigeria and the world, to engage the art form and its interaction with society, cater to the growth needs of young and established poets alike through master classes, create shared performance spaces, engender collaborations and hurl our songs at the wind for three days. There was no international poetry festival in West Africa prior to this. It had to happen. And it did. Inevitably, yes. What are the places of festivals like this in furthering discourse on literature? Festivals promote creativity and diversity. They bring a range of writers, poets, and artists into dialogue with themselves, the consumers of their works and society at large, and put a necessary spotlight on particular books and authors. There is a certain energy and drive you leave a space like the Ake Book and Art Festival with. There is buzz around literature these festivals generate that positively affect book sales as well. There are necessary conversations that linger. It’s exciting to see what’s happening with the growing number of festivals now running across the continent. We must continue to encourage and support this trend, not gripe about who was or wasn’t invited. One challenge with staging festivals like this is continuity. What plans are you making to ensure that this festival continues for years to come? We had a reasonably successful first outing and there is a confidence that gives going into the next. The key thing is to keep creating value, value for the artists, attendees, sponsors and the city at large. A festival or event that creates and sustains value will perpetuate itself, all other things being equal. Our sponsors are happy, more organizations have indicated interest, we have poets sending in messages from across the world who want to get involved. I believe we are unto something. Lagos International Poetry Festival 2016 will definitely be a more robust and exciting affair. Shall we talk about you now? How did poetry come to you? How did you first encounter poetry? Poetry came to me via books. Interestingly, through prose. I read and still read more prose than I do poetry. So I started out trying to write short stories. But each short story I wrote wanted to become a poem. But language, generally, has always fascinated me. What next should your fans expect from you? I’m currently working on a book-length poem called The History of Clothes. 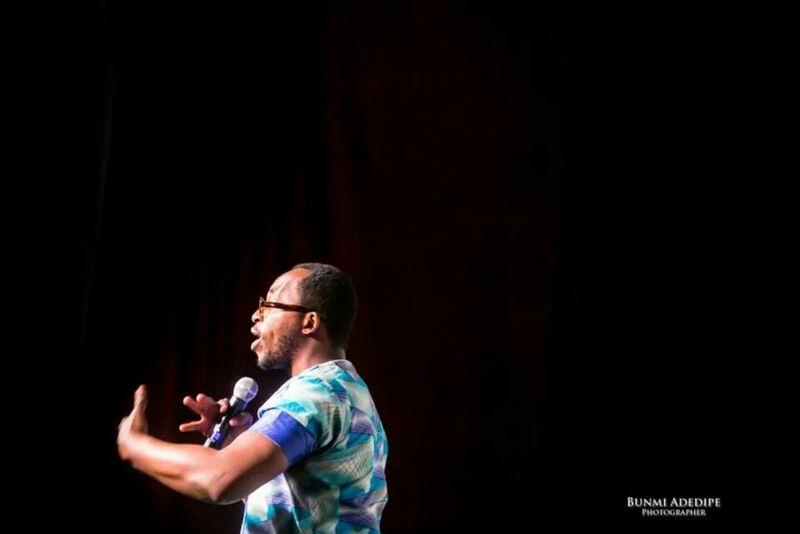 Also on touring a spoken word theatre production called Finding Home which I’m producing and performing in and which is directed by Femi Elufowoju Jr. across Accra, Nairobi, Jo’burg and Cape Town.